I love meal planning for my family dinners as without it generally it all goes pear shaped ! 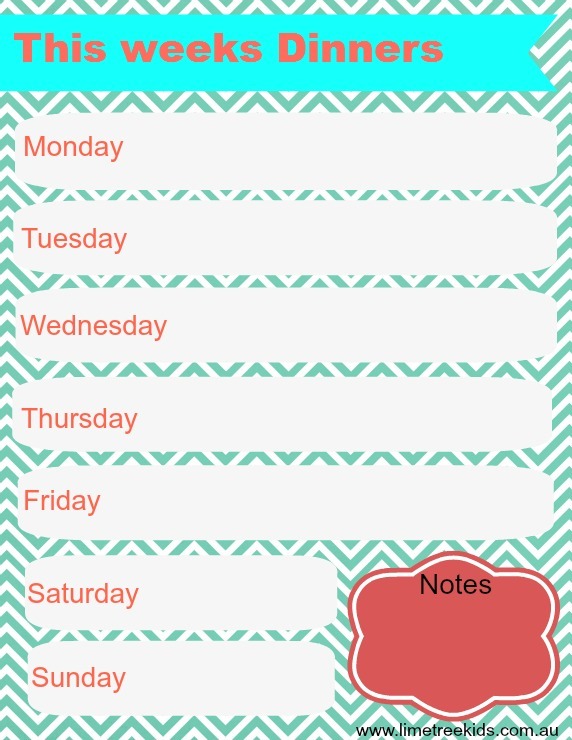 This allows me to organise on the weekend the shopping for all the meals and then in the weekday mornings what I need to get out for the dinner before work and if I need to get anything on the way home. It also lets me know exactly what needs to happen when I walk in the door and the kids are in the middle of arsenic hour after being at school and kinder all day ! I'm new to printables so I thought I'd dabble and make my own one up. Feel free to use it to help you with your dinner planning.